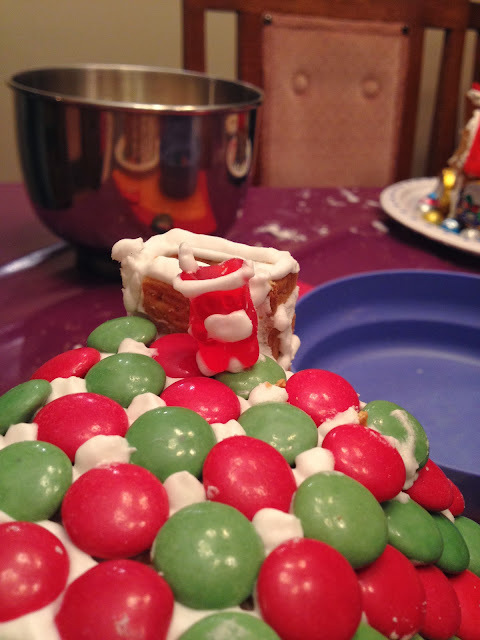 Trudy Talk: Graham Cracker Houses - HOORAY! 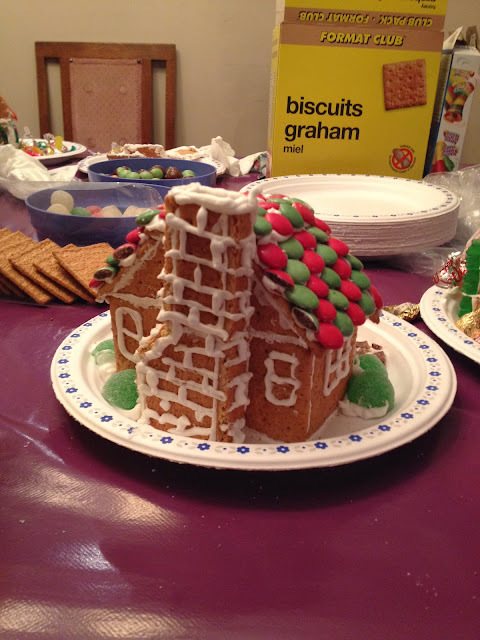 Graham Cracker Houses - HOORAY! Oh why Happy Thursday to you. Not quite Friday...but we're getting there! In my giveaway for this year, one of the ways to gain an entry is to tell me one of your regular traditions (yes, it's that easy!). 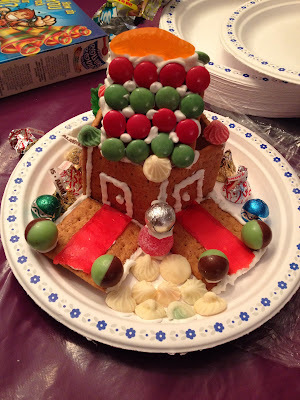 As you may (or may not) recall, there's a tradition I've been participating in around this time for the past few years. 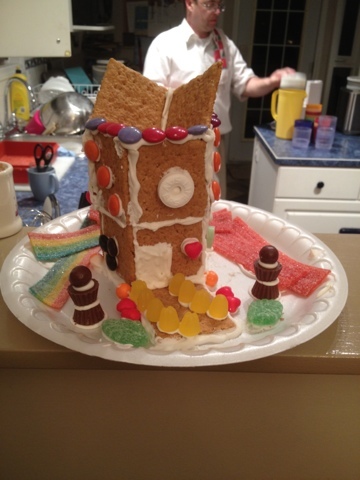 I go out to visit some family in Strathmore and we get our gingerbread home building on! (By gingerbread, I really mean graham cracker home...with as much candy as it can hold...) ;). YAY! Though for some reason, I made a pentagon shaped house which made setting up the roof difficult. However, once I got it up, it stayed! 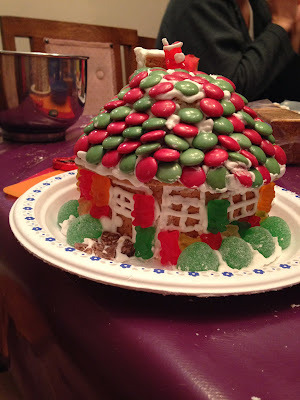 Last year the roof took lots of time (and icing) to stay up. There's two apartments to this home. And here's the back of my home. PS. Have you tried candy cane kisses??? 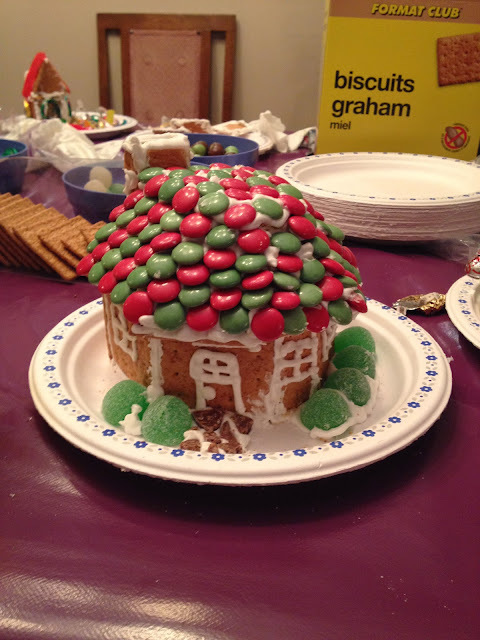 As you can see, Scott put a lot more time, effort and skill into his home. 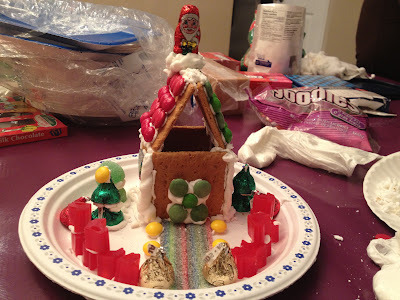 By the time he was done building it, he didn't want to have anything to do with decorating it...but he did it nonetheless. My favorite part was my idea :)!!! Santa gummy bear!!! SO CUTE! (Scott still made him, so he gets the credit). And that was that for this year! We even got to watch a couple Christmas movies! 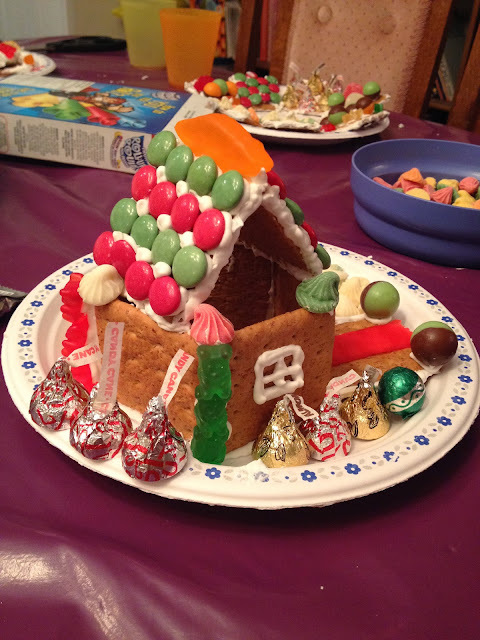 Does your family do gingerbread houses? How about graham cracker houses? Tomorrow the 12 Days of Christmas (Trudy style) starts up! Watch for it! Only a few days left for the giveaway! Merry Christmas Baby + Kittens? A Christmas Classic! + #1 in UK? Giveaway - who won what?? The only thing better than a fire? 12 Days of Christmas Kickoff!